Review: For as long as man looked upon the night sky, there has been an inexorable urge to explore that final frontier. In capturing this intrepid spirit of exploration and discovery, musicians and artists have dwelled upon the majesty of the experience, bringing to light moods and situations that include war, jollity, and mysticism. But above all, a sense of magic permeates the experience as one sallies forth in search of wonder and greatness. 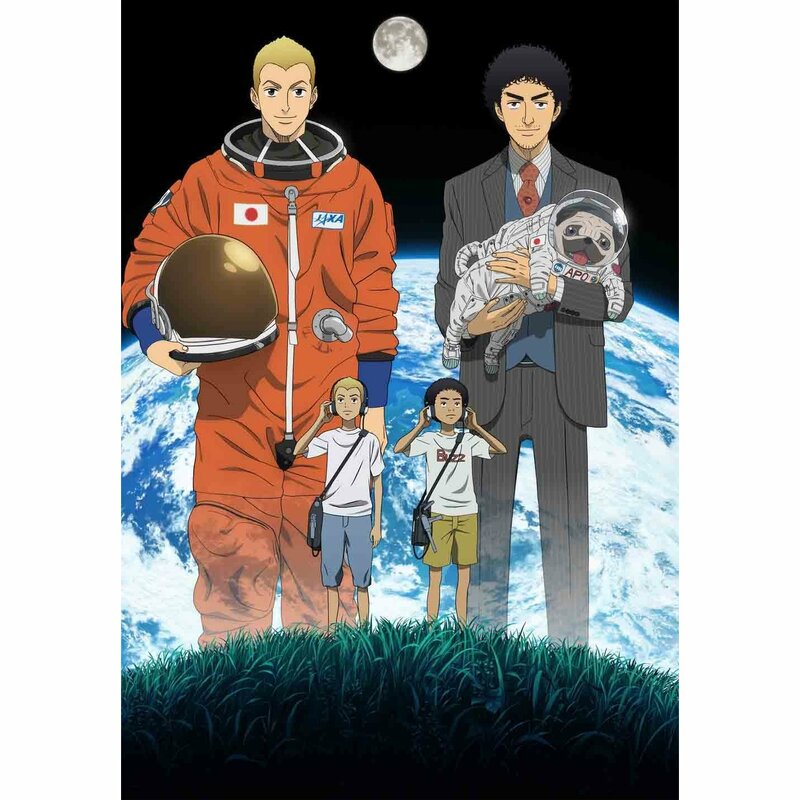 Toshiyuki Watanabe’s BGM medley for Space Brothers invokes the grandiosity of such an undertaking, as the work transforms childhood hopes and dreams into a chance of a lifetime. The medley starts with a soft rendition of the Space Brothers main theme, initially impressing its quiet inspirations one feels while gazing at the stars and letting the imagination soar. But as the strings take over, the excitement begins to simmer before the horns amplify it to full-blown anticipation. The way in which the melody imparts a glowing sense of mission and destiny keeps you rapt in attention as this personal journey towards greatness begins to unfold. Sure enough, the determination comes in full force as the main theme becomes more pronounced, more regal, and more relentless as it moves with little hesitation towards its ultimate undertaking. Here, the trumpets lay out the scope of this odyssey, building up a thoroughly majestic theme and calling upon the aspirations that propel you onward to reach your potential. The lofty heights that the piece strives towards convey a mesmerizing audacity that never falters, as the ambition and drive keeps the dream alive. As the shimmering excitement peaks, then dies down, the piece gently ushers the mood to calmer, more introspective waters that allow you to take in the peace and serenity of being up in space and looking down below at Earth. The piano, in particular, cultivates the quiet joy brought about as you marvel at the pale blue dot traversing the endless void of space. As much as the yearning desire for home wells up in this section, when the strings come in, it bears a serene, but steadfast aura that nudges us to dive into curiosity’s wellspring, breathing new life into those childhood dreams. And with that, the final section picks you up in its whirlwind climb to greatness and glory. The manner in which the piece segues is overly excitable, maybe even a bit sloppy in its display of unrestrained eagerness, but it leaves little doubt about the hope and persistence that it seeks to invoke. Through this fervent delivery, the final section lights the fire in a brilliant orchestral display that pushes you on to greatness, allowing for the next chapter of the awe-inspiring journey to be written. A little late but… this is beautiful! !